Lakušić, Stjepan; Bjegović, Dubravka; Haladin, Ivo; Baričević, Ana; Serdar, Marijana. 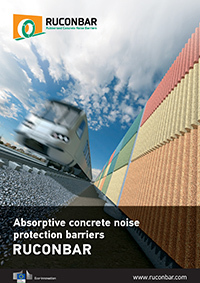 RUCONBAR – innovative noise protection solution made of recycled waste tyres (PDF) Mechanics, Transport, Communications. 3 (2011) ; X-76–X-82 (journal article).